January saw the People’s Choice Awards, the Golden Globes, and the Screen Actors Guild Awards. February brings audiences the BAFTA Awards, the Razzies, and the pièce de rèsistance, the Academy Awards (AKA the Oscars). With award show season in full swing, fans and fashionistas alike will rush to the blogosphere to place celebrities on best and worst dressed lists. However, there is another well known star that makes an appearance at all of these award shows: the red carpet. How did this particular flooring become synonymous with fame? Though the red carpet dates back to ancient times, and hasn’t always been connected to celebrities, its history gets even more elaborate. In 2016, people equate the red carpet with star-studded events and swanky soirées; incidentally, this flooring would initially be rolled out for more common folk. Well, the 'royalty' of the United States, anyway. There are several claims as to where and for whom the first red carpet was set down for, but jumping from the Renaissance era to the 1800s is the first documented use of this flooring to give people a VIP treatment. According to “Smithsonian” magazine and city data for Georgetown, South Carolina, when President James Monroe visited Georgetown in 1821, he unknowingly set history. 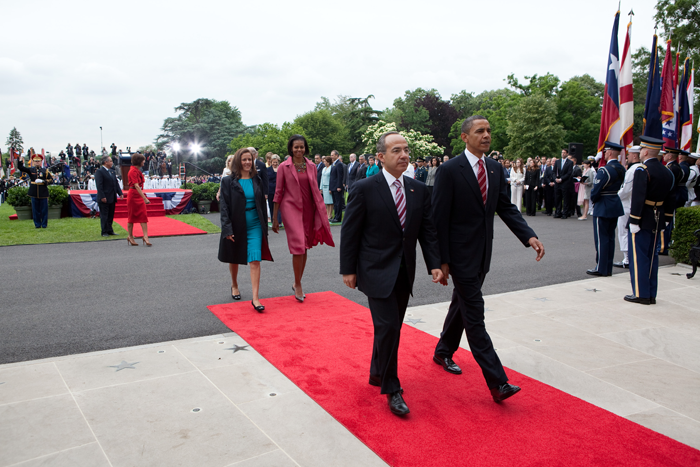 His hosts in the city purportedly rolled out the red carpet welcoming him to town. Reports of the event get hazy from there; some sources say the carpet welcomed Monroe when he arrived by stagecoach, guiding him all the way to the river where a riverboat awaited him. Other sources say the carpet was set down for President Monroe when he disembarked from said riverboat. Regardless, after this momentous event was when this flooring began to be associated with welcoming people. Before starlets and celebrities showed off the latest fashions when walking down a crimson path, this bold flooring began with other intentions. Movie stars may be the VIPs of the 21st century, but everyday people also received the “red carpet treatment” before the era of awards shows.